A group of change leaders, committed to being a source for leading edge change management information and tools to support the evolution of change management in health care. The Change Management Network (CMN) brings together change leaders and practitioners, from coast to coast from national health care organizations, to collaborate and exchange knowledge and experiences. 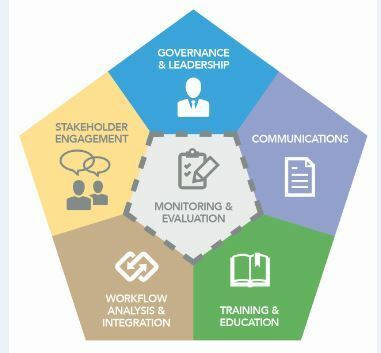 The network communicates, educates and promotes the value of using change management (CM) methodologies, approaches, and tools at every stage of digital health solution implementation for successful clinical adoption and the realization of health benefits. Manage documents You may need to login and/or be a member of the group to access this content. Please login to acquire access to the InfoCentral web conferencing.